Why should I choose Elite? How many estimates do I have to get? What if I need a rental? Is the estimate you provide, the final cost for repairs? Can you tow my vehicle? Do you fix all Cars/Trucks and all Makes/Models? What is a Pre or Post Repair Scan? Does Elite Collision Center perform Pre & Post Repair Scans? Question: Why should I choose Elite? Answer: Elite Collision Center DOES NOT HAVE insurance company contracts! Why? We believe you and your families safety is top priority. Repairing vehicles to manufacturer recommendations, without compromising ANYTHING in order to satisfy the interests of big insurers. It also means we work WITH all insurance companies, but not FOR insurance companies. Don’t let an insurance company pressure you into choosing one of their “network” shops, it’s YOUR CHOICE! Choose Elite! Question: How many estimates do I have to get? Answer: No law requires you to get more than one estimate. We work with all insurance companies and will negotiate a fair price to repair your vehicle back to pre-loss condition. Answer: It depends on the type and extent of the damage. Bring your vehicle by for an estimate, and we can give you an approximate time frame. Question: What if I need a rental? Answer: We often have Enterprise Rent-A-Car Vehicles on-site, available for your convenience. Many insurance policies cover car rentals while your vehicle is being repaired. Check with your insurance agent for your specific coverage. If we don’t have a rental vehicle onsite, we can get one in short order. Question: Is the estimate you provide, the final cost for repairs? Answer: An estimate is only an estimate. Take bumpers for example, you have the outer cover, brackets, impact absorbers, steel reinforcements, intrusion bars, etc., assembled in a manner that makes it impossible to see all of the damage. We need to disassemble the damaged areas to be certain complete repairs are made. With this in mind, it is likely that there could be additional damage to repair, or additional parts may be needed, your insurance company is very aware of this. When an insurance company representative writes an esimate they will advise you to take your vehicle to Elite Collision Center, then we will notify the representative if additional damages are discovered. Question: Can you tow my vehicle? Answer: Yes, we recommend Chappelle’s Towing for all our towing needs 24 hours/day. Give us a call at (360) 687-8755, and we can arrange for your tow, or you can call Chappelle’s direct at (360) 723-5729. Question: Do you fix all Cars/Trucks and all Makes/Models of all Years? Answer: In General, we do repairs on most vehicles less than 15 years old. The reason behind this is older vehicle parts in many cases are no longer manufactured. However, some makes/models/years that are older than 15 years still use the same parts as newer vehicles. For these reasons, please call us @ 360-687-8755 and we will be happy to work with you to determine if your vehicle can be repaired here. Question: Do you work with my insurance company? 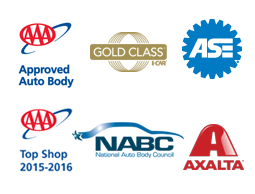 Answer: Yes, we work with all insurance companies, and you can take your vehicle to the shop of YOUR choice. Question: Do I have the right to select the shop that will repair my vehicle? Question: Will my color match? Answer: With our highly skilled and trained professionals, we are able to reproduce the finish on your vehicle. We use only the highest quality paint, Cromax manufactured by Axalta. With our blending techniques, we are able to guarantee color match, as well as texture. Question: What are my rights as a Consumer? Answer: As a consumer of automotive collision repair, you have a number of rights which, if exercised, could better ensure that your vehicle will be repaired in a proper, complete and safe manner. For more information on your rights, click here. Question: Why Insist On Original Equipment Collision Parts? Answer: Nobody wants to think about being in one accident—let alone two. OE collision parts—in accordance with vehicle manufacturer repair processes—are the only parts proven during vehicle development to deliver the intended level of protection as a whole system. OE collision parts, both those that came on the car originally, and replacement parts, are designed with safety in mind. For more information on this, click here. Question: Do you use aftermarket parts? Answer: We DO NOT recommend aftermarket parts as a general rule, however, your policy may call for aftermarket parts usage. We inspect every part that is replaced on your vehicle, and it must pass our ridged standards, to insure you have a quality repair. Question: Do I need an appointment for an estimate? Answer: No, but by calling and scheduling an appointment, we can be sure to minimize your wait time. Question: How long will the estimate take? Answer: The amount of damage will determine the length of time needed. In general, an estimate takes approximately 20-30 minutes to complete. Question: What is a Pre or Post Repair Scan? Answer: Modern cars now have so many onboard computer systems that operate things such as Collision Avoidance, Blind Spot Detection, Back Up Cameras, Side Impact Pretensioners, Heads Up Display, Self-Parking, Adaptive Cruise Control, Lane Change Assist, Vehicle Stability and the important Airbag systems. When a collision occurs, your vehicle will store “fault codes” in the computer that may or may not show a warning light on the dashboard. A pre repair scan provides us with as much detail as possible on the damage your electrical safety systems have sustained. Post repair scans are completed to certify that all codes and all systems are functioning as they should be after all repairs are completed. Question: Does Elite Collision Center perform Pre & Post Repair Scans? Answer: Elite Collision Center performs pre and post repair scans on all modern vehicles as mandated by the manufacturers. Not all collision repair facilities perform these scans!